I ended up getting quite a few video games over the course of 2014. Hey, I like my 3DS! Unfortunately, no Mac games made it onto my list this year, mostly because the only game that appealed to me was Civilization: Beyond Earth, and it’s ridiculously expensive. However, I have four 3DS games that I really enjoyed this year. Games are in order of release date. I talked about this one way back when in this post. 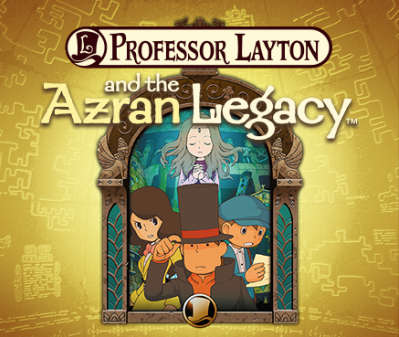 Azran Legacy was an excellent finale to the Professor Layton series, and my only regret is that it’s the last game in the series to feature Layton as the protagonist. We’ll miss you, Professor! I still recommend this game for anyone who enjoys puzzles and mysteries. 9/10, recommended 9 and up. This is one of those games I picked up on a whim. 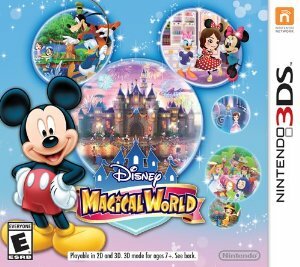 Magical World is a mostly open-ended, almost sandbox type game that I still have not managed to finish. I say mostly and almost – there’s seasonal content to be had and quests to accomplish, but I see very little to do after you have all the outfits, recipes, furniture, and all 100 stickers. However, it may have replay value, and it can take quite awhile to finish. (Granted, this is coming from someone who takes years to reach max level in any MMO ever made, so…) I’m going to say 7/10, and recommended 6 and up. Another game I talked about way back when, this is truly a sandbox game. 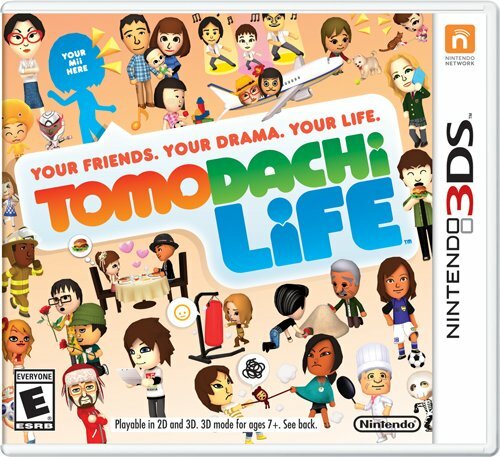 A cross between Animal Crossing and The Sims, this is a rather cute game for people who like The Sims or Animal Crossing, but want something less realistic than the former and less time-consuming than the latter. Plus, if you have to put it down for several months, no weeding is required. Yay for that! However, this is less like Sims in that Miis have a mind of their own, so no matter how much you may push it, Iron Man may not fall in love with Batgirl. (Yeah, we tried that… I can’t even get Nightwing to be friends with her. On the upside, Joker and Batman seem to have put aside their differences. I saw them playing soccer together. Weird.) 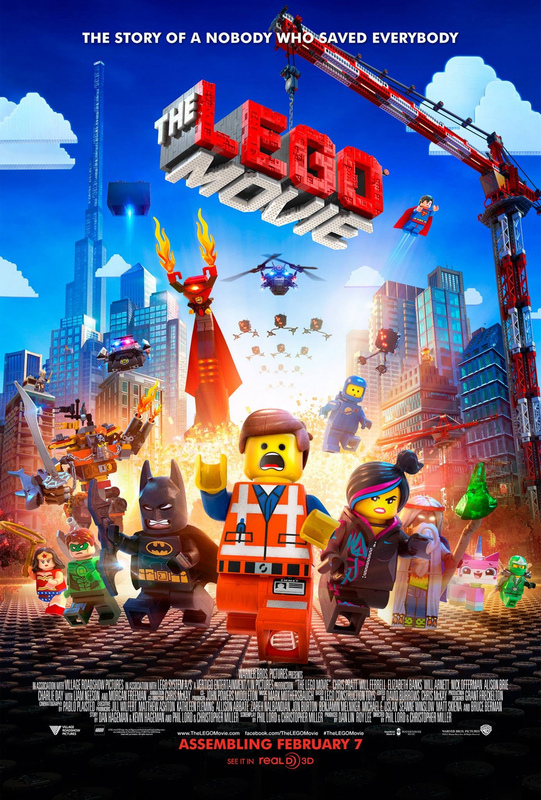 8/10, recommended 7 and up. A crossover between the Professor and the Ace Attorney, this quickly became one of my favorite games of all time. 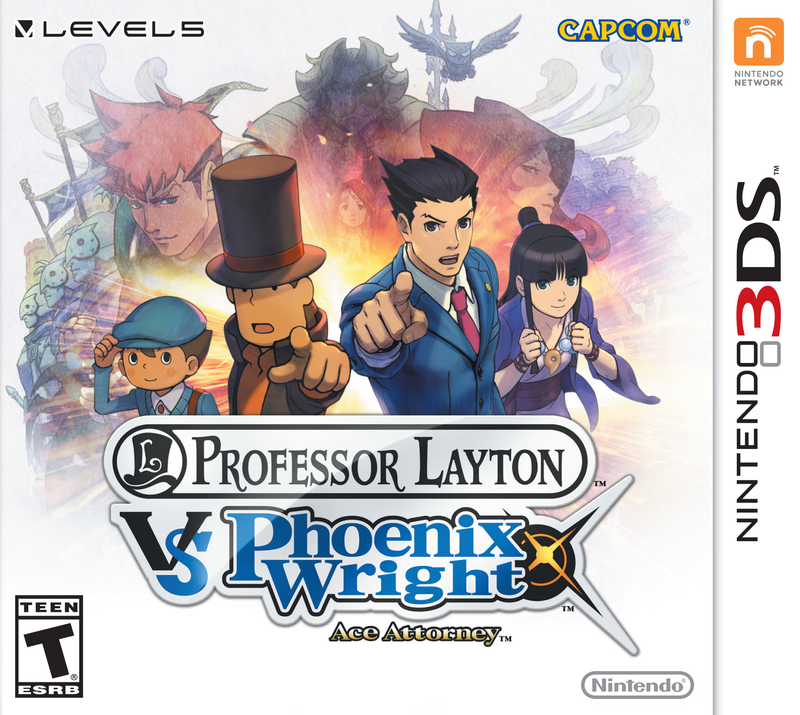 With the puzzles of Layton and the court cases of Wright, this game is definitely worth picking up. Plus, as I said when I originally talked about it shortly after its release, everybody likes a good old-fashioned witch trial! 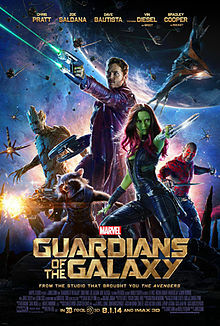 9/10, recommended 12 and up. There were a few other games/game combos released this year that I have plans to pick up in the next few weeks – Fantasy Life and LEGO Batman 3: Beyond Gotham come to mind. Overall though, I was actually pretty impressed with my few selections from the myriad of released games this year, although none top A Link Between Worlds from last year. What can I say, despite the awesomeness of Batman and Professor Layton, nobody stands up to Link. Happy Halloween! While kids run around trick-or-treating, the rest of us either have to work or have time to kick back and relax with some candy. If you’re one of the former… sorry. Maybe you can still have candy? 4. Or you could just play LEGO Harry Potter or Batman. If you’re looking for TV shows, I recommend Buffy the Vampire Slayer or maybe Merlin. Vampires or wizards… take your pick. I’m not actually a huge fan of Halloween. It’s too creepy and gruesome for me. My favorite thing is still the clearance candy at Walmart during the first week of November. Oh, and be sure to watch/play these in the dark. That’s the best part. And we bring you a special edition TV Tuesdays. It’s on a Tuesday, yes. However, it’s not a TV show. It’s a web series from ismahawk based on the DC superhero Nightwing. Only five episodes (the last one went up yesterday, October 27th) and only 8-10 minutes long apiece (making the whole thing about the same length as a single TV episode), these are actually really well done. The acting can be questionable at times (at least in my opinion), however, the guy playing Richard Grayson/Nightwing is actually pretty good in the role, as is the person playing Deathstroke. As for the costumes, they’re really pretty awesome, as you can see in the photo to the right. In the end, this is a fairly good series featuring Nightwing, one of the least-done major heroes in live-action media. I say major – he’s not Justice League, (I don’t think?) but he is a former sidekick of Batman. For anyone who loves Nightwing, I’d recommend this series for 13 and up. I’ve only noticed a couple instances of profanity so far, but the fights get bloody and mildly gory. The title credits are also pretty awesome, and actually do a really good job of giving you Richard Grayson’s background leading up to the start of the series. The theme music is awesome too. The creators are thinking about making more seasons of the show… let’s hope they do. I’m not going to lie and say this show’s perfect, but it’s one of the better fan-made series out there. For those of you interested, I’ve included the link to the YouTube playlist. I like Batman, though I was well into my teens before I warmed up to him. For Batman lovers… well, sorry. 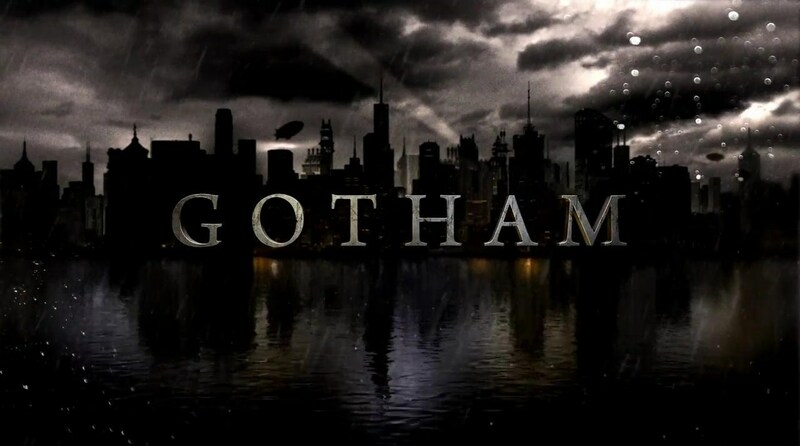 Gotham is set (probably) two decades before the Dark Knight began his career – the first episode starts off with the murder of Thomas and Martha Wayne. But on the scene is James Gordon – a new, uncorrupted recruit to the (corrupt) police force of Gotham, and also the main character of the show. By the end of the episode, Gordon makes friends with the now orphaned Bruce, promising to find the guy who murdered Bruce’s parents, while cleaning up Gotham and the police force. Honestly though, young Bruce is a bit creepy. “I’m sorry we didn’t catch him.” Gordon apologizes at the end of the episode. “That’s okay. I want to see him again.” Bruce replies. I know the guy killed his parents, and he’s mourning that, but still… creepy kid. “But if this is set in the past, where are our favorite villains?” you might ask. Don’t worry – just in the first episode, we’re introduced to two younger villains – Poison Ivy, who already loves her plants, and Selina Kyle, who’s currently employed as a teenage pickpocket, and seems to be everywhere at once. 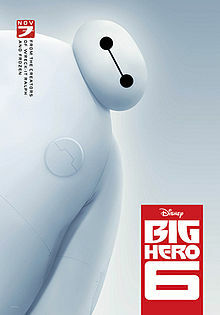 She witnesses the murder of Bruce’s parents, goes the funeral (unofficially), and shows up just about everywhere else. We also meet Oswald Cobblepot (Penguin), who’s currently employed by Fish Mooney (a character created just for the show), a small-time mob leader, and underling of Falcone. There’s a few other people we meet, like Edward Nygma, currently a coroner and forensics operative for the Gotham City Police Department (and already loves his riddles), and Harvey Bullock, Gordon’s partner on the police force. (He’s also on the payroll of Falcone). Gordon may have his hands full with up-and-coming villains soon – and some may be closer to him than he realizes. So far, I’ve enjoyed Gotham. It’s a bit dark, a bit creepy, and a bit gory. Not saying the gory part is good, but it is a crime show, in the end. 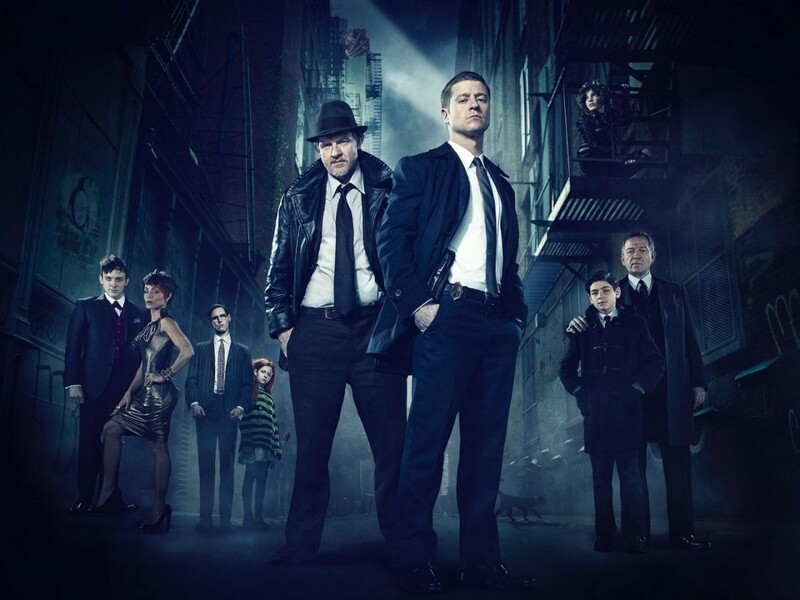 Current main cast from left to right – Oswald Cobblepot, Fish Mooney, Edward Nygma, Ivy Pepper, Harvey Bullock, James Gordon, Bruce Wayne, Alfred Pennyworth, and Selena Kyle in upper right. I’ve only seen the first episode, but so far, I’d recommend Gotham for 13 and up – it’s violent, it’s got some profanity, and I’m not sure what else. I’m looking forward to future episodes. I’ll update occasionally to include new plot developments and characters. Thankfully, for those of us without TV, Fox keeps episodes up on their website for almost a month and a half after they air, so watching it is pretty easy, if you don’t mind ads. Netflix already has exclusive streaming rights to Gotham, so around this time next year, you’ll be able to stream it on Netflix. Gotham is rated TV-14. I’m just hoping the Joker shows up at some point – because what’s Gotham without him? This is both terrifying, and yet a seriously awesome look. But what happened when Bruce got… too old? Yeah, you knew it had to happen some time. But we’ve got a plan for that. Right? Right. In the two-parter pilot Rebirth, Bruce is trying to rescue a gal from a hostage situation (He’s in his 60’s at the moment, it’s 2019) and has a heart attack. He’s forced to grab a gun to defend himself (resulting in a wonderfully hilarious “oh crap” reaction from the guy that was beating him up) and decides to permanently retire from being Batman. 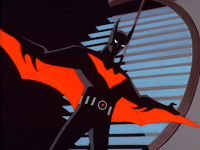 Meet Terry McGinnis. He’s a 16 year old high schooler with a juvie record. His parents are divorced, and he lives with his dad, while his younger brother lives with mom. Batman material? Maybe not. But we’ll fix that by the end of the episode. Needless to say, Terry gets into a fight with his dad, and storms out. He gets into a bit of trouble with some Jokerz, the local gang who imitate the Joker of days gone by. (The main part of Beyond is set in 2039). He makes a run for it. Where does he end up? Right in front of Wayne Manor. He may be old, but he’s still awesome. Yes, he just hit the guy. 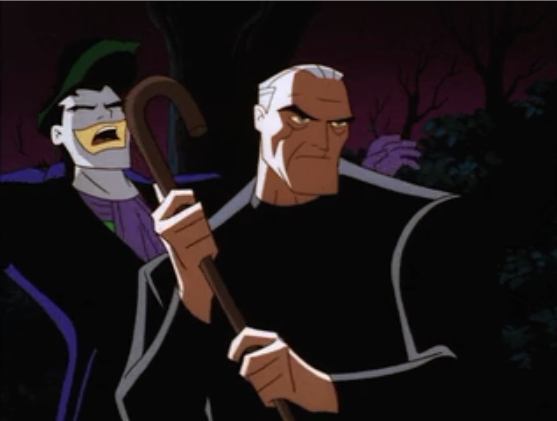 With the cane. Without looking. He and Bruce fight off the Jokerz, at which point Bruce collapses. The guy’s old and has heart problems at this point, after all. While Bruce is taking a bit of a power nap, (or perhaps faking to make Terry go away) Terry decides to go wandering. He finds his way down to the Batcave, where he realizes that the old guy was Batman. Bruce chases him out, and Terry goes home to find that his dad was killed by Jokerz (or so it appears. Turns out it was dad’s employer. Seems a colleague of dad’s stumbled on something he wasn’t supposed to, and gave Terry’s dad a CD with the info on it. Therefore, he was killed). Terry finds the CD, and goes back to Wayne Manor to talk to Bruce about it. (Derek Power’s, dad’s employer, had bought out and merged Wayne Enterprises and his own business long before.) Terry leaves to take the CD to Commissioner Gordon (Sorry, not James. He’d be long gone. Try Barbara) but is waylaid by Derek Powers and is forced to turn the CD over. 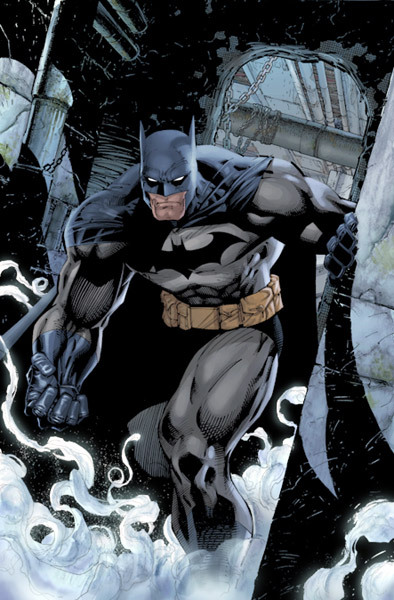 After a bit of thinking, Terry goes back to Wayne Manor to “borrow” the batsuit. He goes to Wayne-Powers, and is doing pretty well until Bruce gets on the intercom embedded in the suit. He tells Terry to get back to the Batcave, which Terry’s having none of, considering that Powers had his dad killed. He wants revenge, and he wants it now. 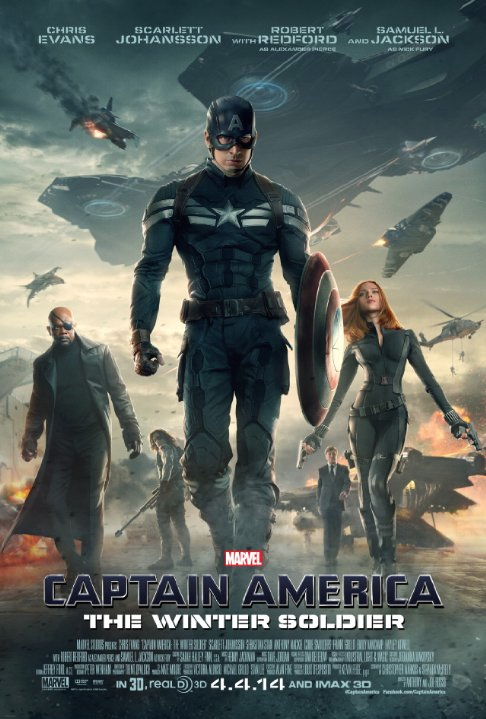 Bruce paralyzes the suit, but relents when Terry is about to be killed by the security guy thugs. He guides Terry over the intercom on how to get down to the loading bay, where Terry stops the shipment of chemical weapons that his dad found out about. Powers is affected by the chemicals when they spill, but not killed. That’ll come back to bite shortly, I’m sure. This is a seriously awesome batsuit. It can fly. Afterwards, Terry goes home. (He’s living with his mom at this point). Bruce stops by to see Terry and his mom. He neatly creates just a bit of a cover story, saying that Terry had once saved him from a gang of Jokerz. He offers Terry a job as his personal assistant, or, to put it another way, as the new Batman under his guidance. Terry, of course, accepts the job, and becomes the new Batman. I watched all three seasons, and enjoyed the show a lot. There’s a few corny episodes but overall, it was pretty good. You find out some small (or not so small, as the case may be) bits of key info about Terry and by extension, Bruce in the JLU episode “Epilogue.” I won’t spoil it here, but the episode sheds a bit of light on the series. The movie Return of the Joker, originally intended to be the series finale, (but then they gave us the JLU episode) deals with the demise of Joker, and the final fate of the last Robin, Tim Drake. 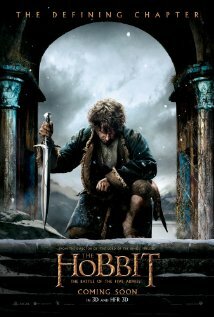 I was crying a bit toward the end, (and I don’t usually do that!) but Terry got a pretty awesome speech about how crummy the Joker was… to the Joker. I actually liked the movie. Overall, this is a great show and continuation of the Batman story. 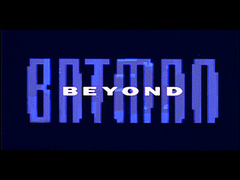 It’s rated TV-PG and it’s actually pretty dark (it is Batman, after all) so I have to recommend it for 1o or 11 and up. There’s a bit of innuendo (they are teenagers) and definitely a lot of violence. Still, I like it. Plus, the title credits are awesome.